Each morning I travel a short distance to walk around a sparkling, pristine beaver pond . It is quiet and tranquil there although a road does go by. Often drivers wave or slow down to ask if I am okay or if I need their help- if my car has broken down. I am touched by their thoughtfulness and sense of our shared humanity. Although we do not discuss our political views it is likely they would be at odds and our spiritual belief systems might vary considerably. But what always comes through to me is our common humanity and the desire we all can have to be kind, to see each others as brothers and sisters and to be of service in the world. This is what Neptune in Aquarius is about – finding our common humanity and collaborating to solve commonly shared problems. It is visible now on the streets of Cairo, many cities worldwide in our own backyards if we are open to it. This approach may well lead to a more spiritual means of inhabiting the earth. This is one of the opportunities present as Neptune moves through the late degrees of Aquarius and into Pisces from 2011- 2025. The revolutionary fervor akin to that of the sixties generation is alive and well in over 1100 US cities now as the planets of revolution and innovation – Pluto and Uranus – meet once again in the sky. Again people are in the streets advocating for social, political and economic justice. This aspect is not going away any time soon and what we are witnessing now is just the beginning. One of the innovations used by this new generation is internet technology – a key organizing tool globally. Uranus which governs technology is squaring Pluto which can mean that technological innovations can challenge and undermine traditional power structures. This was seen in NY recently when the video of police pepper spraying peaceful protestors was broadcast over the internet and made the police rethink tactics that might have worked in the past. The power of corporately owned mainstream media is now being challenged also. Gil Scott Heron’s words, “the revolution will not be televised” ring true as the mainstream media has been slow, reluctant and confused in its coverage. But the live streaming on the internet speaks a very different language. The Full Moon is Tuesday 10/11 at 18 degrees of Aries. At the time of the Full Moon Saturn conjuncts the Sun and opposes the Moon. These are aspects that incline towards worry and a sense of limitation. Albert Einstein said that we cannot solve problems with the same level of consciousness that created them. 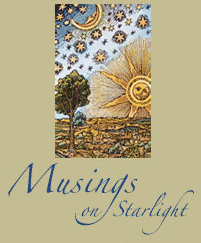 And many visionaries believe that the astrology of 2012 indicates a pressing need for the evolution of consciousness to solve the problems that confront us at this time. It is best under the influence of this Full Moon to shift to a higher level of perception, to listen to intuition, and to look to the magic – rather than the problems – inherent in situations around us. A good adage for the early part of this week is “slow and steady wins the race.” with the overabundance of energy of Mars/Jupiter square. Mars/ Jupiter aspects are known for overshooting the mark. Alot can be accomplished through a discplined approach with a proven track record – beware of excessive acts which may not pay off in the long run. September ended under the influence of the recent Venus/Saturn conjunction. Although often popularly described as a difficult aspect for love and money, Venus/Saturn is about serious commitment to core values. When there is a scarcity or perceived scarcity of money or love it provides excellent timing to review core values and to chart a new course accordingly. The seriousness of the Venus/Saturn conjunction was offset a bit by the influence of the Mars /Jupiter aspect which is influence through October 9th. This aspect provides energy and enthusiasm to the seriousness of Saturn. There is a tendency to overdo with this aspect so it bodes well to increase awareness about doing things in a moderate way. Through the 11th Venus will trine Neptune providing a good time for spiritual and artistic work. Life can look beautiful at a time like this because we tend to be looking through rose colored glasses. It is an idealistic influence and provides a good time to revisit higher aspirations related to bringing more love into the world. Romance can flourish under this influence – it is a good time for a romantic getaway or night out. From the 8th through the 19th the Sun aspects Saturn boding well for work. A lot can be accomplished during this time. Be sure to include innovative approaches and techniques. On the 9th Venus moves into Scorpio bringing more depth and intensity into relationships. As the sunlight wanes in the northern hemisphere the increased darkness reminds us of Persephone’s descent into the underworld. On a personal level it is a good time access what it is we feel passionate about and to include more space and time for it in our lives if necessary. From the 9th through the 17th Venus is aspecting Jupiter – watch for extravagance and excess. It is a time when overspending and overdoing with food and drink are highlighted. The Full Moon on the 11th is in Aries. The Libra/ Aries axis is about learning to advocate for individual needs diplomatically. The New Moon is in Scorpio on the 26th at 3 degrees of Scorpio -providing a good time for intention setting. Fantasy and romance abound at the end of October (the 28th through the 31) as the cosmic lovers Venus and Mars square Neptune. 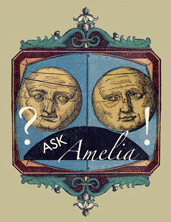 Sign up to receive Amelia’s free astrology forecast on her home page. Over the years social commentators have posited that the cultural myth of the United States is The Wizard of Oz. The curtain was pulled back a bit more this week as the demonstrations against the corruption of Wall Street turned ugly. Peaceful protesters were with beaten, sprayed with pepper spray at close range, handcuffed and dragged off to jail by police. Protestors commented that they were inspired by the demonstrations in North Africa. One young woman who had been blind for an hour from the pepper spray said she didn’t care what the police did – she was going to remain there. Another protestor wondered who the police were there to protect – the powerful corporate interests or the citizens who were protesting peacefully. We are living in a time astrologically which is a turn of the wheel of what went on in the sixties- a time when people took to the streets in an attempt to create a more just world As Uranus and Pluto move closer to an exact square in 2012 we are likely to see these kinds of demonstrations increase. One of the powerful organizing tools available now is the internet – governed by the planet Uranus. With the help of internet technology and communications this could be the generation that forms a global movement to effect change. Considering the kinds of challenges they are facing this is very good news. Expect the unexpected is a good maxim to live by through the 23rd as Mars forms a trine to Uranus and Venus enters the Uranus/ Pluto square. It can be a heady ride trying to keep up with sudden and unanticipated events. A word to the wise on the relationship front- Venus/Uranus aspects rule love at first sight occurrences but relationships born under these aspects often are unstable and unpredictable. The Venus Pluto square is likely to bring to life relationships of a karmic nature as well as relationships issues which are challenging to resolve. Things can be really confusing sometimes when Mercury is in hard aspect to Neptune. It is a bit like wandering around in the fog in your mind. Literally there can be confusion with communication and the tools of communication. Yesterday when I went out to get the mail from our mailbox across the street I was disappointed that my new Tarot deck had not yet arrived. Instead I found a sheet of paper from the Post Office- a form – (and I try to avoid filling out forms at all costs) with a handwritten note from our friendly and welcoming rural delivery person. In cursive it read, “Welcome to town! Please fill this out and return it to us. Thank you.” There were lines for the customary contact information as well as a space for the name of anyone else receiving mail at the address. The problem was I had filled this form out quite awhile ago and didn’t understand why I would have to do it again. I speculated about why this should be necessary and then finally just decided not to fill it out and tossed it into the recycling. Later that night I remembered a new family had moved in across the street and thought that the letter had found its way by mistake into my box. Because the Sun is in Virgo (worry) I Lay awake wondering what other mail was in the wrong box. This morning when I went out to get the mail I decided to look the situation over more carefully. My mailbox is the last on the left in a row of three. But when I looked more closely I realized that my mailbox was no longer the last in line – that now belonged to the new family. The mail carrier had put the form in the right box!